ORLANDO, March 22, 2011 – Samsung Electronics Co. Ltd., the global leader in Android™ mobile devices, announced two new additions to its family of GALAXY Tabs, the GALAXY Tab 10.1 and GALAXY Tab 8.9, the world's thinnest mobile tablets, measuring just 8.6 millimeters. 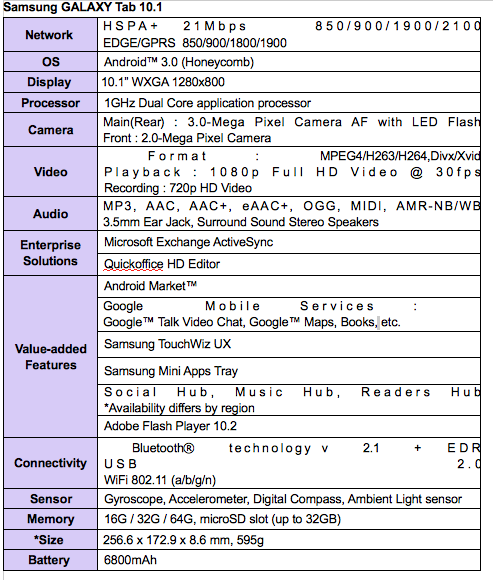 The GALAXY Tab 10.1 and 8.9 feature Samsung's own TouchWiz user interface implemented on the Android™ 3.0 (Honeycomb) platform, offering superior multi-tasking and enhanced user interaction and navigation. 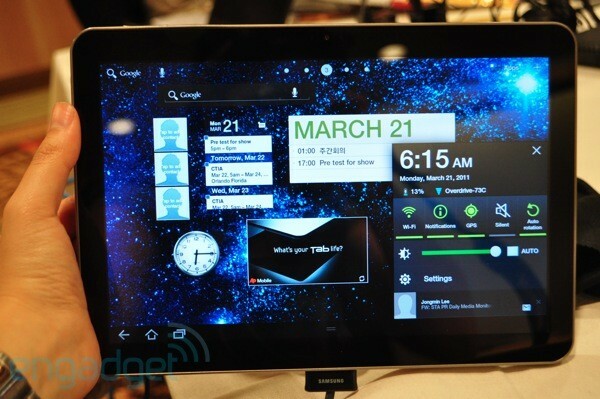 our exciting new user experience, we've created a new class of products that will lead the tablet market." 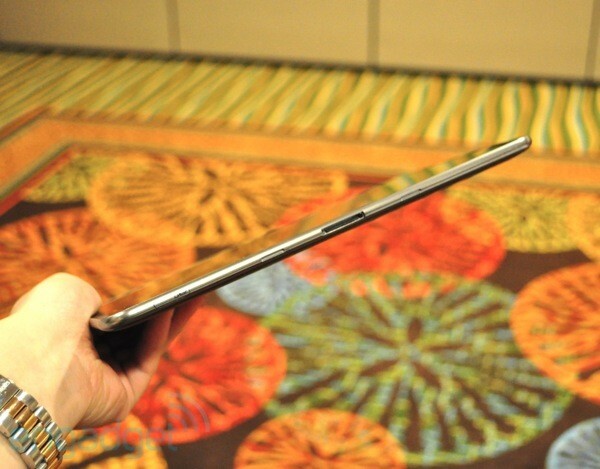 The GALAXY Tab 10.1 and 8.9 are the thinnest mobile tablets available. 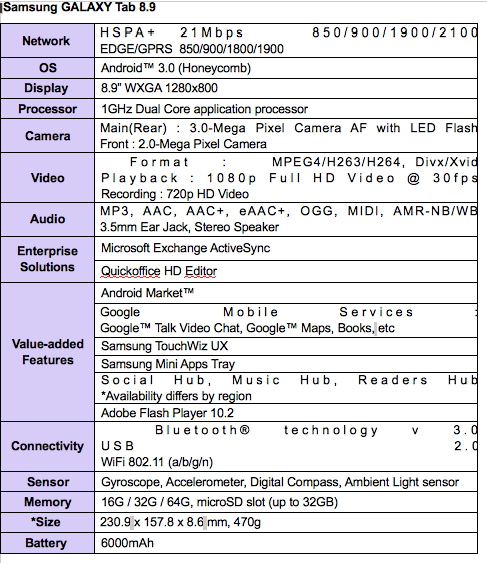 The GALAXY Tab 10.1 weighs 595 grams and 8.9 weighs 470 grams. Combining the GALAXY Tabs' ultra-thin form factor with a lightweight design adds to the outstanding mobility of these two products. Customized User Experience "Samsung TouchWiz UX"
Samsung's TouchWiz user experience is designed with a Live Panel menu users can customize to display a variety of content on the home screen including digital pictures, favorite Web sites and social network feeds. The GALAXY Tab 10.1 and 8.9 are pre-loaded with Readers Hub and Music Hub giving consumers instant access to more than 2.2 million books, 2,000 newspaper (49 languages), 2,300 magazines (22 languages), and 13 million songs. The devices are also designed with Samsung's Social Hub, which will aggregate email, instant messaging, contacts, calendar and social network connections into a single interface. The GALAXY Tab 10.1 and 8.9 will include an industry leading suite of solutions designed to give enterprise customers and IT managers more security. Developed in collaboration with industry-leading partners such as Cisco, Sybase, SAP and Citrix, Samsung's enterprise mobility solutions will provide flexibility and connectivity for mobile workforces, ensuring that users are able to operate more efficiently on–the-move. At just 8.6mm thin and weighing only 470g, the GALAXY Tab 8.9 is the perfect device for today's mobile professional. Whether writing emails on a trip or reading an eBook on the couch, the GALAXY Tab 8.9 provides the ultimate tablet experience without compromising mobility. The GALAXY Tab 10.1 and 8.9 now join the original 7-inch GALAXY Tab to provide consumers with an unmatched array of choices to select the mobile tablet experience that fits their needs the best. 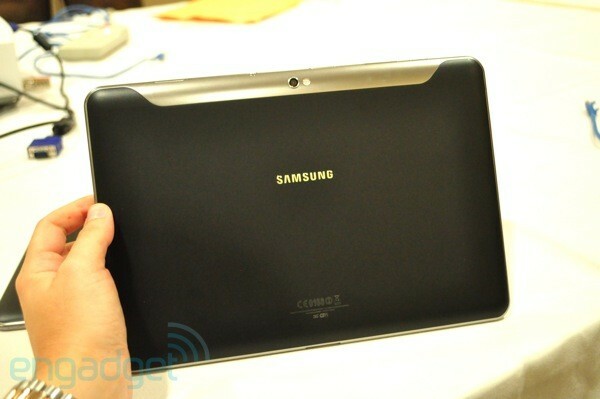 Samsung's entire line of GALAXY Tabs will be on display at the Samsung booth (#2440) at CTIA Wireless 2011, March 22 through March 24.